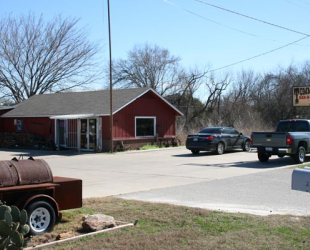 Tucked away on Old Gun Barrel Lane is Tommy's Bar B Que, an old fashioned joint with all of the traditional Texas food favorites and a rustic interior that takes you back in time. 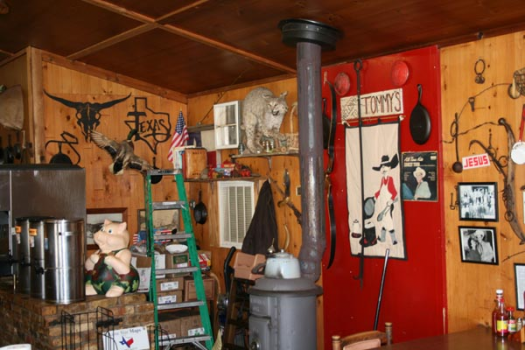 There are metal hangings on the wall reminiscent of Texas ranching from days gone by and even a stuffed bobcat next to an old decorative stove. Of course the scenery makes eating at Tommy's fun, but the food makes it a real comforting experience. 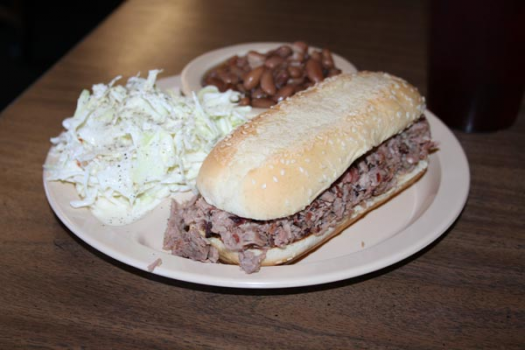 The meats include beef, pork, chicken, turkey and tasty ribs, all served with your choice of potato salad, cole slaw, red beans, baked potatoes and other vegetables. 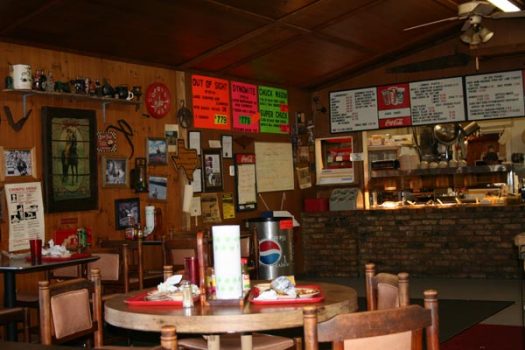 Eating at Tommy's is well worth the half-block trip off of Highway 198 in Gun Barrel City. 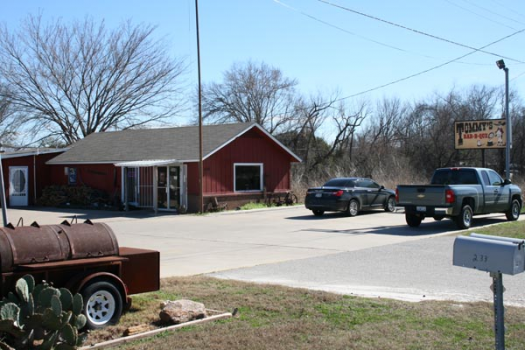 Tommy's is at 206 Old Gun Barrel Lane. 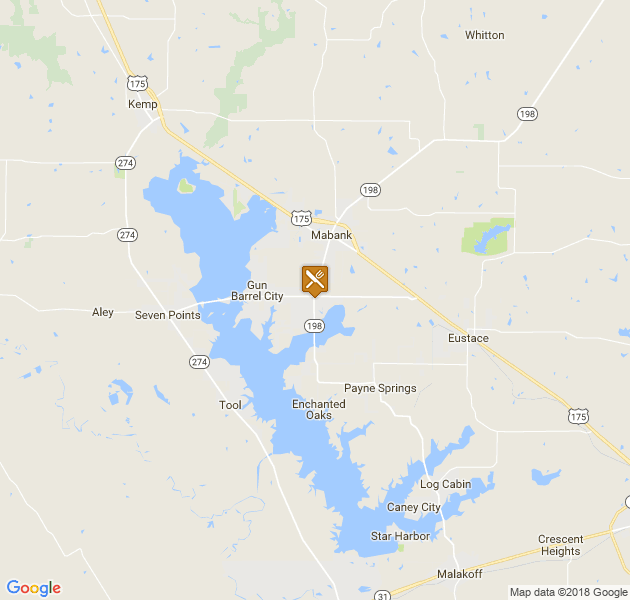 Call 903-887-0265.